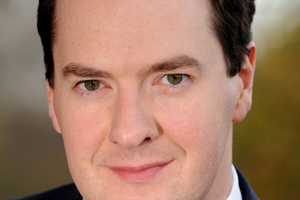 Chancellor George Osborne and Treasury chief secretary David Laws have announced £6.2bn of spending cuts. In a joint presentation today, Laws said the Government will be looking to axe spending by £6.2bn. Among savings it plans to make is £1.15bn on discretionary spending, including consulting, travel and advertising. Laws said: "Figures for central government departments suggest that £45m was spent on first class travel in 2008/09. We believe that huge savings must be made in this area." Venues Event Management chief executive Anita Lowe said: "I think the spending cuts will have an effect as very often it is the activities within our sector that are amongst the first to suffer reductions. To combat this, it is up to the agency to offer good savings and value for money to help convince Government clients not to completely withdraw this type of spend." BSI group managing director Trevor Elswood added: "Driving bottom-line cost reduction has been the mantra of corporate procurement for many years and we see this as the public sector catching up with the private sector. "Last year BSI saved Tesco more than £3m off their meetings and event spend and typically deliver savings of up to 40% across the business travel category spend. In the coming months we are looking to develop our business relationships with public sector organisations and helping them achieve the same successes we've delivered in the private sector." COI director of live events Simon Hughes said he did not have a clear idea yet of how cuts would impact the sector, but expected weighty savings. "There are lots of illusions to things like reducing first class ministerial travel but [the speech] sweeps up marketing and communications together and it doesn't go into detail," he explained. "We don't have a clear view yet but we do know there will be some weighty savings being made. However, it does talk about a duty of care to provide people with information so if there are statutory changes, then that kind of communication events campaign would be allowed. Without doubt, our job is to look for further areas where we can do more with less and create savings."